A kind random end of year post letting you, the reader, join in the fun of putting places and names to pictures…. 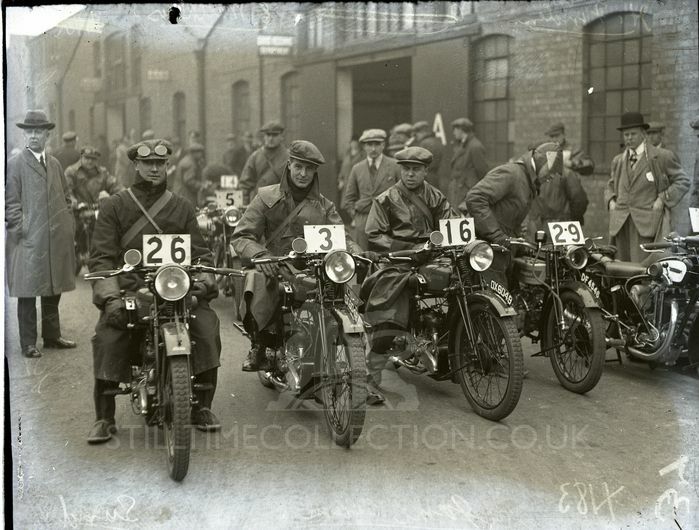 The basic ISDT keyword search of the still time has unearthed a quality haul of 518 mostly pre-war images of the ISDT. 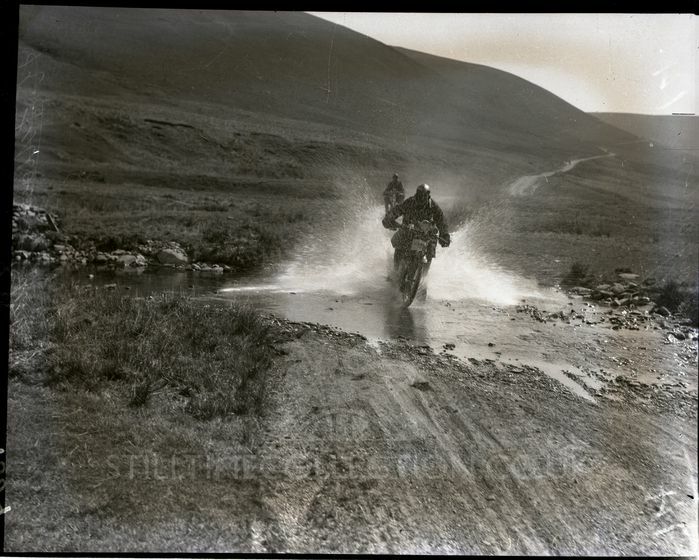 Work to identify and seek long term access to the images in Speedtracktales is underway. In the mean time a more convoluted series of searches found very badly ( ie minimal) keyworded images of motorbikes in what appear to be ISDT style events. 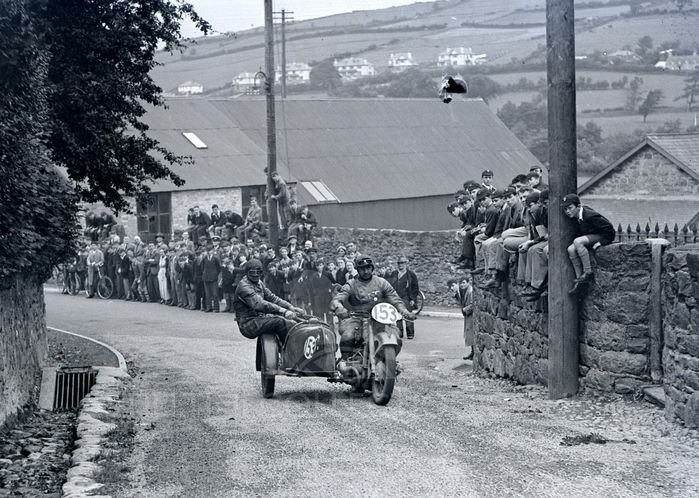 Can any one confirm any riders identities and which event it might have been. 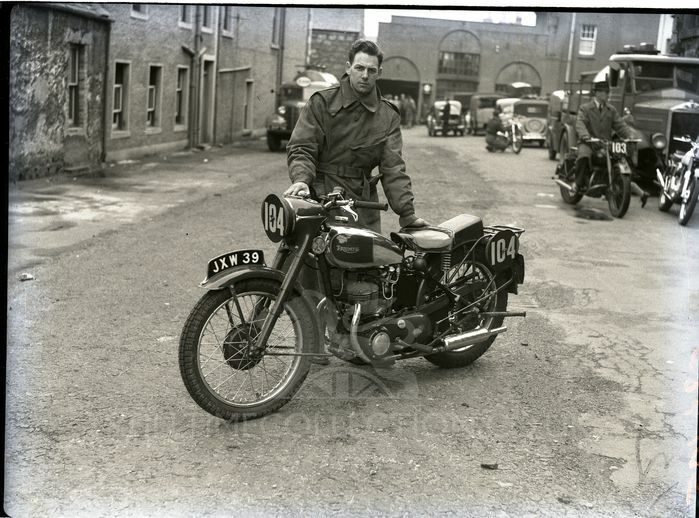 Nazi / NSKK insignia on riders jacket . 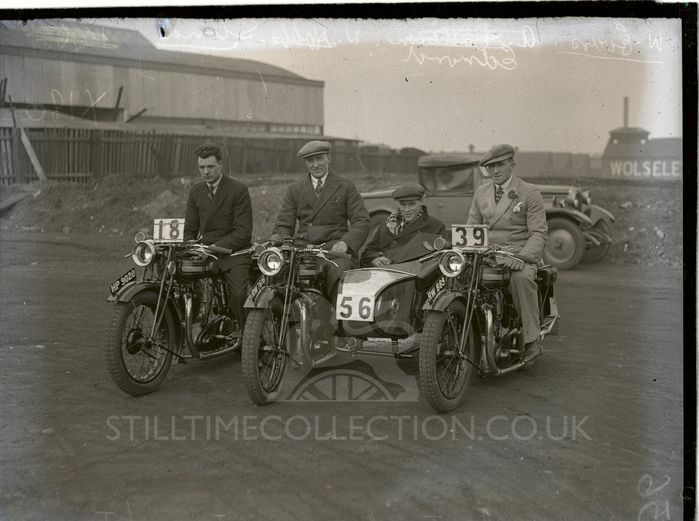 possibly #153 G Wolf 730cc BMW ISDT 1937, #153 was a GB Ariel rider 1938, only 142 competed in 1933. 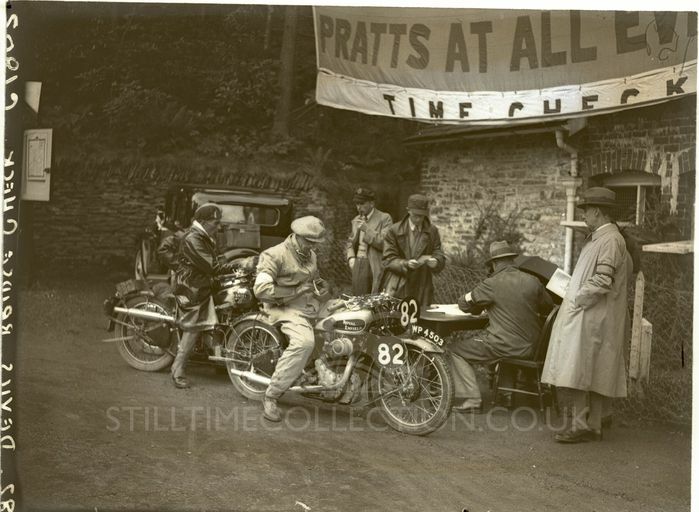 Had the Welsh 3 Day got its current International FIM status before the war? 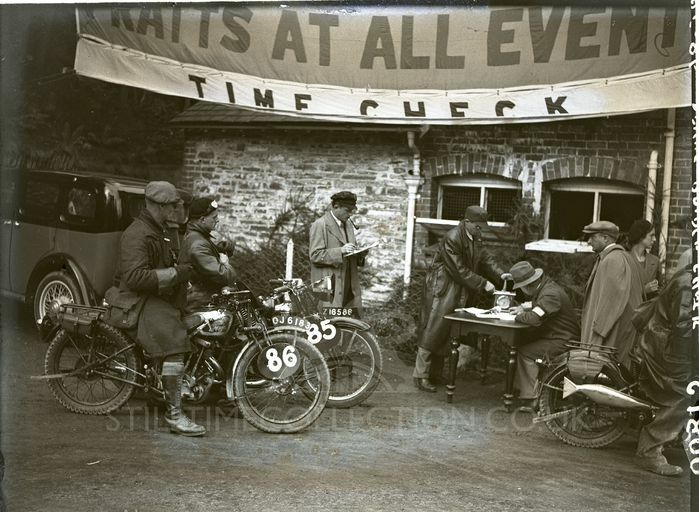 #84 and #86 were not listed as Royal Enfields in 1933, 37 or 38, this is obviously a check point, maybe the Welsh 3 Day .. 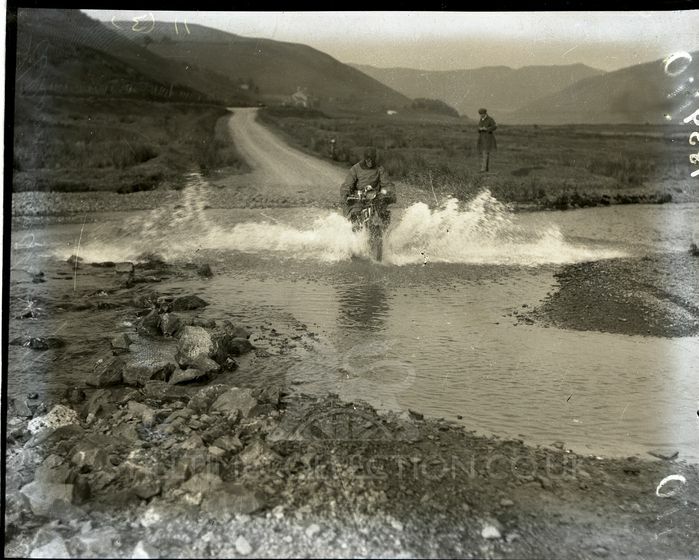 I am not sure where in Wales the 1925 ISDT went, did it go as far as Aberystwyth. 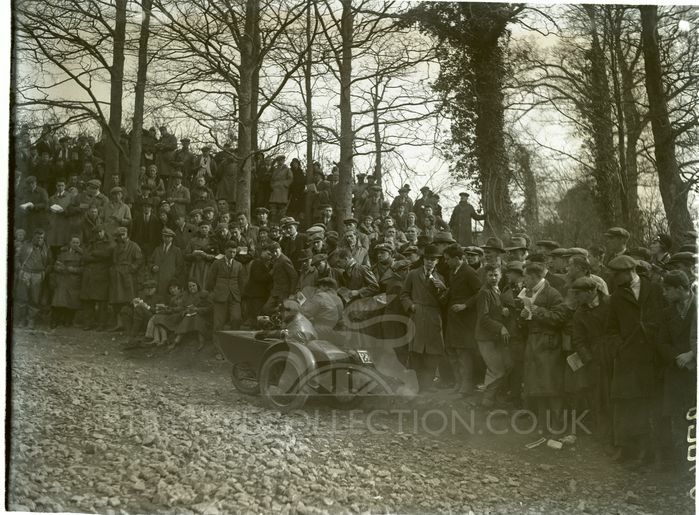 With crowds like this, it was not a local club trial… not sure where Kikham (Kirkham) Uplands maybe but this may be another of the old trials, maybe the Scott. 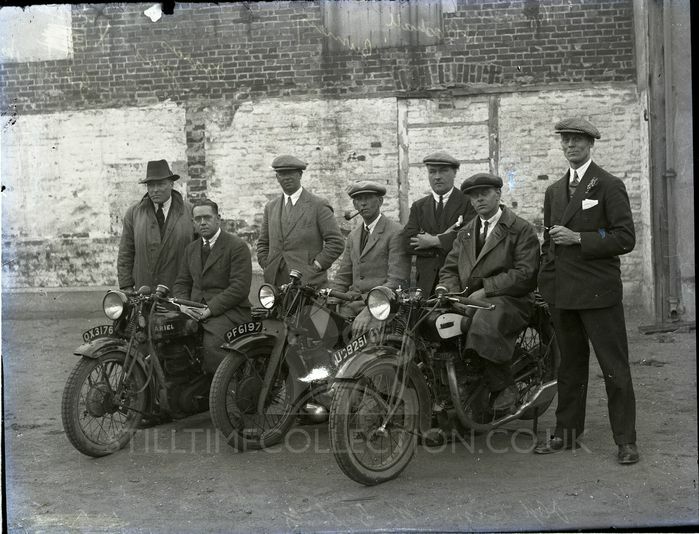 We only have a programme for 1928 but no results… these guys look like 1920’s riders that might be 1925,26 27 or 28 The notes on the negative indicate the names W Evans, A Edward, W Noble S Bond although this may be reverse order and the S Bond may be a scribble. Registrations are HP 2020, RW 766? RW 889? an AG Edwards appears in the details of the ISDT 1928. 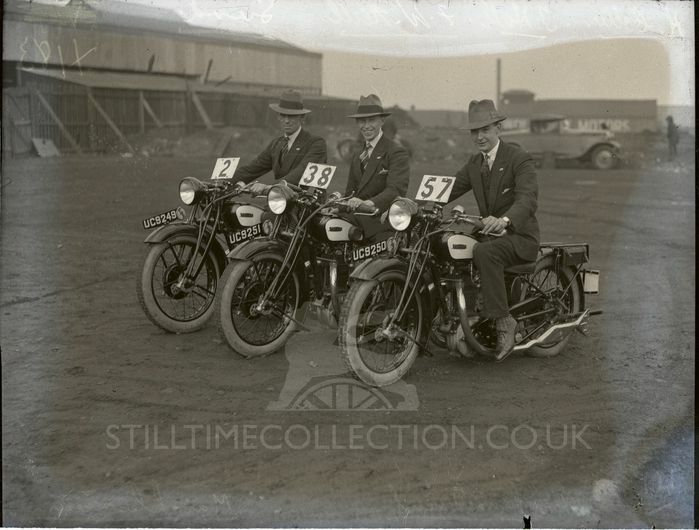 In the background the same Wolseley factory (almost certainly the Midlands). the bikes UC9248, UC9251, and UC9250 are almost certainly works machines. Collier, Hall Neill???? Unfortunately the quality of the images we have for the 1920’s and especially 1913 do not come up to the mark. These James riders.. any clues?
? – tpt transport bike trial test man lad bloke male boy guy woman girl lady female Mcleans. 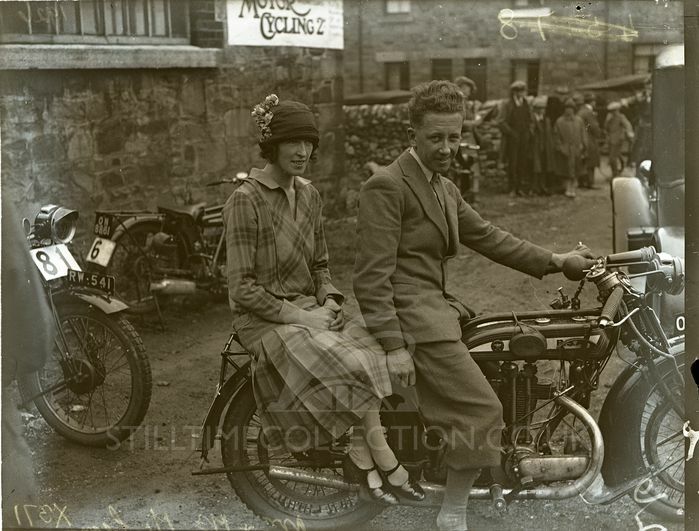 one of the gems Mr and Mrs McLean on a BSA Louise was the famous one, Mr G Mclean rode a BSA to a silver in 1925,The ‘Motor Cycling‘ banner on the wall above makes me think that this again will not be part of a local club trial. Over to you .. who ever reads these things.